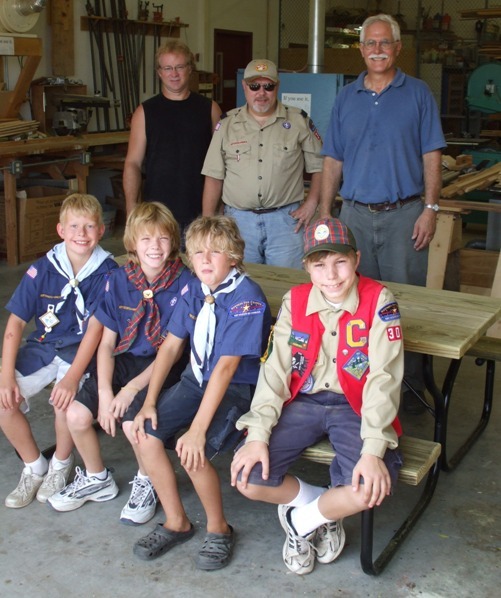 Pack 300 needed a picnic table for its local camping outings, so I called Ray Cox at Northfield Construction and Lampert’s Lumberyard. Lampert’s generously donated the picnic table materials, and Northfield Construction offered their shop and Ray’s expertise to help the boys assemble the table. Thank you! By the end of the project, the boys had hands-on experience with drills, screwdrivers, squares and sanders. 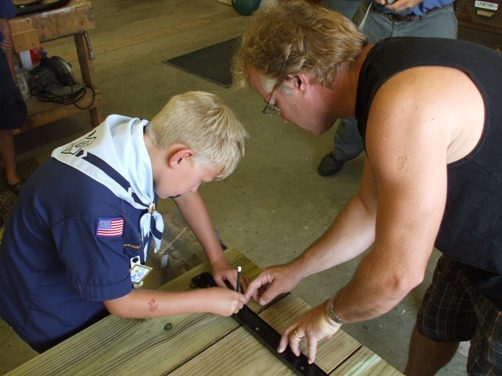 Watching Ray use a router to round the edges was new to many of the scouts. 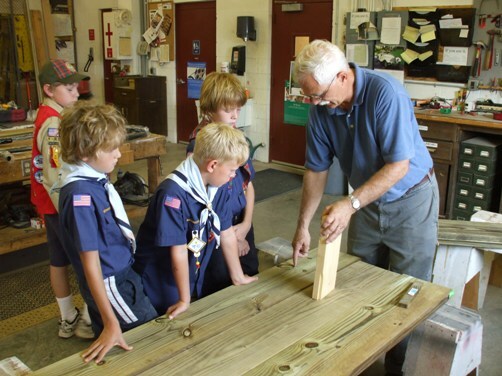 These are a few of the practical skills scouts learn along the scouting path. They also see the results of their efforts: we tried out the table this weekend at camp. It was great alongside the firering for preparing food then eating it as it came off the fire! Thanks again, Lampert’s and Northfield Construction, for supporting our local Scouting efforts!